I am convinced that’s what happened to me. My unsuspecting mother, daughter of Viking raiders and minimalist Scandinavian designers, raised me, a fairy replacement for the Italian child I should have been. I know this because, at a very young age, I rejected that god-awful canned spaghetti that earned James Wattie his knighthood. No self-respecting Italian would dream of eating that stuff, right? But it was not just the spaghetti thing. Oh, no! I used to spend hours looking at pictures of Roman ruins and the “rude bits” of the Herculaneum frescoes and had a picture on my wall of Vesuvio, smoking ominously. I knew how to pronounce “Pinnochio.” In later teenage years, went a bit mad for Chianti bottles. There was the famous Chianti Party of nineteen sixty something when, wanting the iconic raffia-covered bottles to decorate our flat, we threw a party, requiring all guests to “bring Chianti!” Trouble was, only one chap actually liked the stuff. Boy! Was he a mess! The flat looked very Tuscan though! The first “workable” Italian I learned was from an English friend who’d married a Napolitan seaman. She, in turn, had learned her Italian in the market at Naples. So, yes, it was a pretty salty vocabulary! I never spoke it often enough or for long enough to become fluent (it’s true that you use it or lose it! 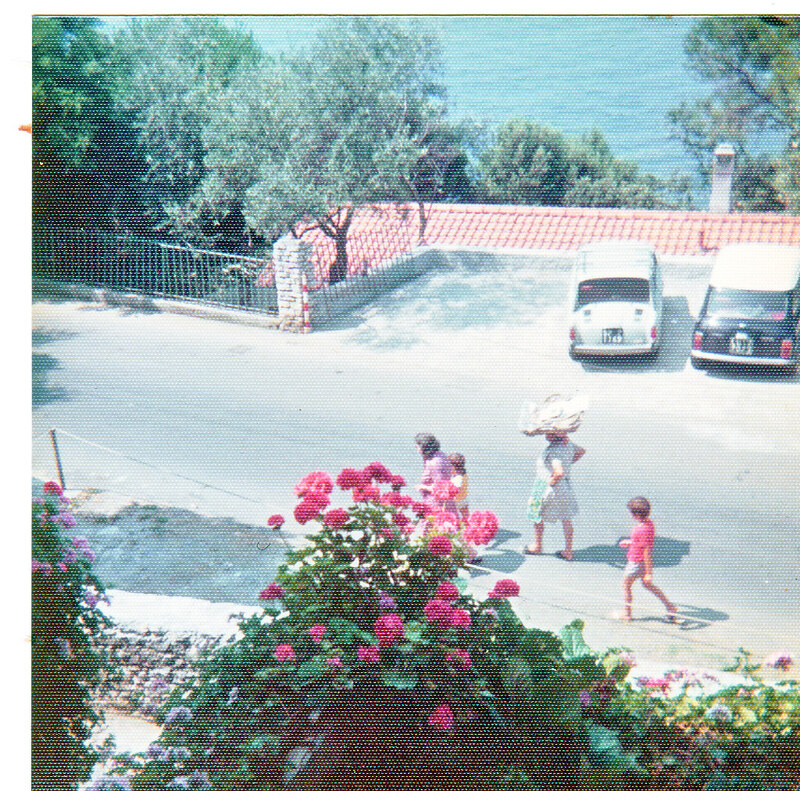 ), but I managed reasonably well when I rented a villa in Liguria one summer. If you have Google Earth on your computer you can find the village of Tellaro. And if you don’t have G.E. 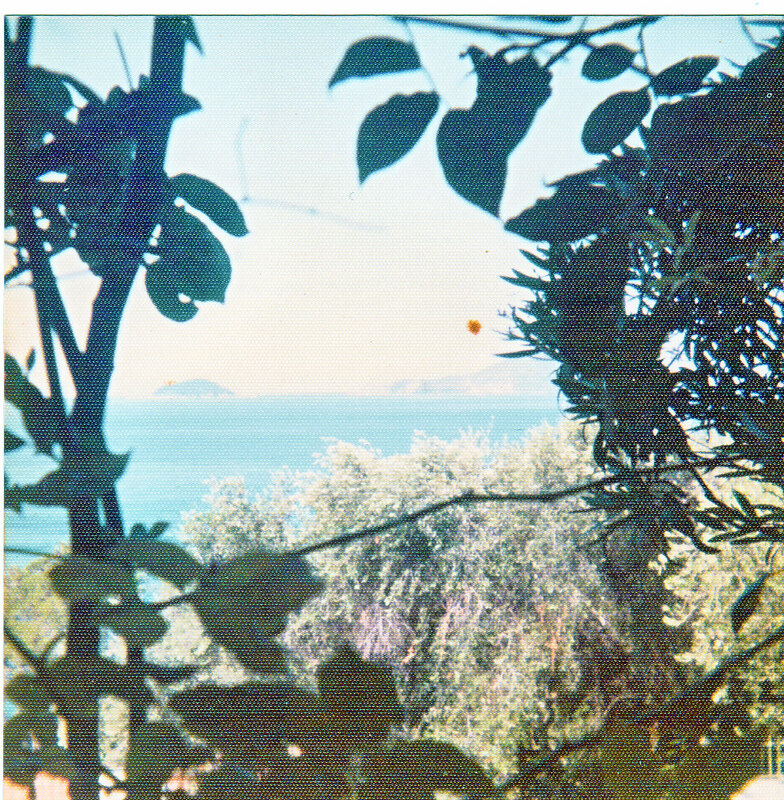 I have some old, faded photos! Every day, I walked down this street to buy bread. Anyone who’s eaten the fresh-baked bread of Italy will understand. Hovis might well be considered the slice of life in England, but it does nothing for my tastebuds. 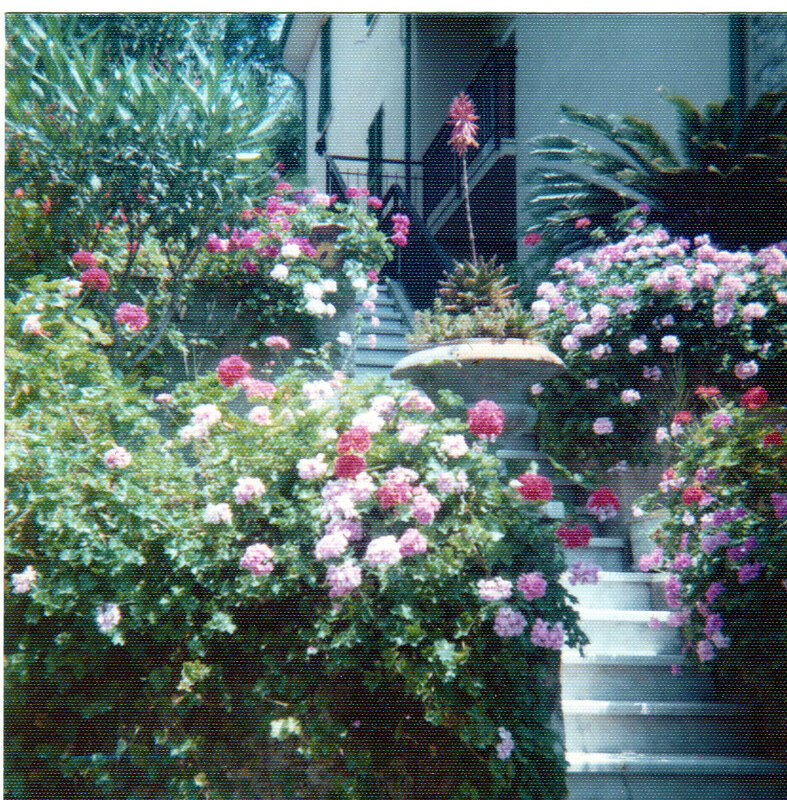 The garden at the front pathway. Typically, a blaze of pelargonium, bougainvillea and oleander. A tortoise lived in the side garden; I tried to make friends, but the vicious little bugger bit me. Hard! Still, he was a cute tortoise and I still said “buon giorno, Torti!” I just wasn’t silly enough to put a finger near his beak after the first time. I said I rented a villa. Well, technically, what I rented was an apartment in a converted (modern) villa. There were two other floors; one also rented, one the home of the housekeeper and her husband. I think the owner was an absentee landlord with rather a lot of lire invested in the automobile industry. Next door was another rented villa. When I was there, the occupants were an elderly Italian woman with her young grandson. Apparently, her her daughter was married to the German industrialist owner and they spent summer holidays at the villa with Nonna. 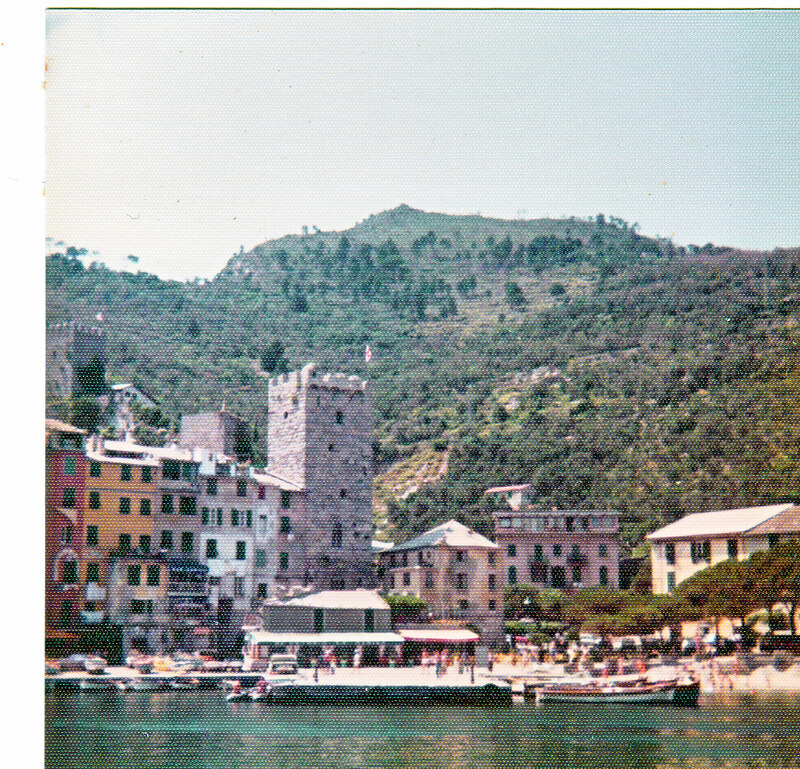 Tellaro was (is still?) a small village, with only basic shops; butcher, baker, two small grocery stores, post office, a couple of cafes. 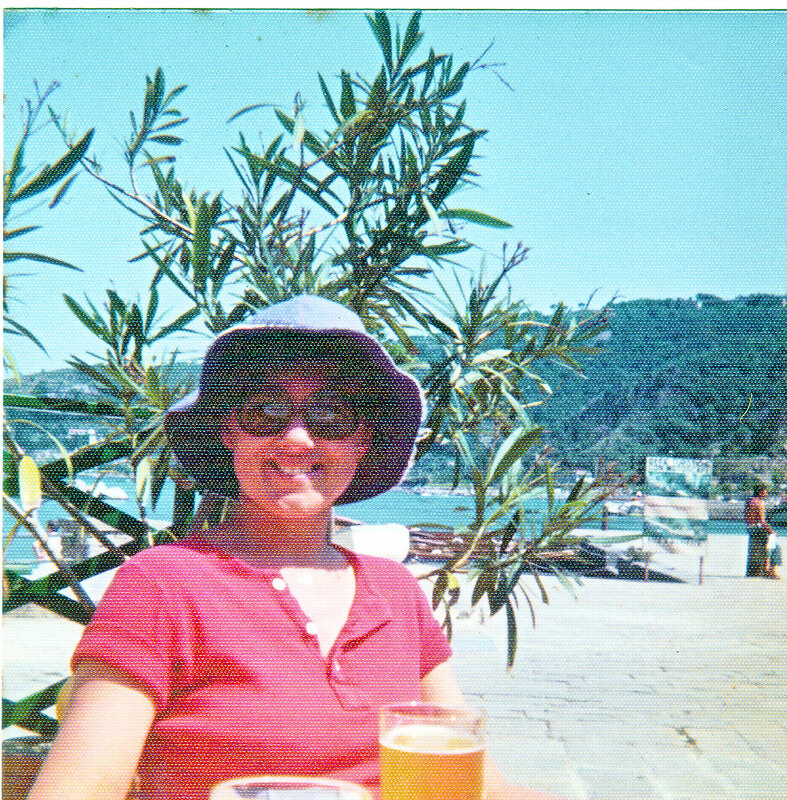 So, for banking, or beyond-basic shopping, I went to the nearest town, Lerici. Sometimes, I rode the little local bus; sometimes, I walked. 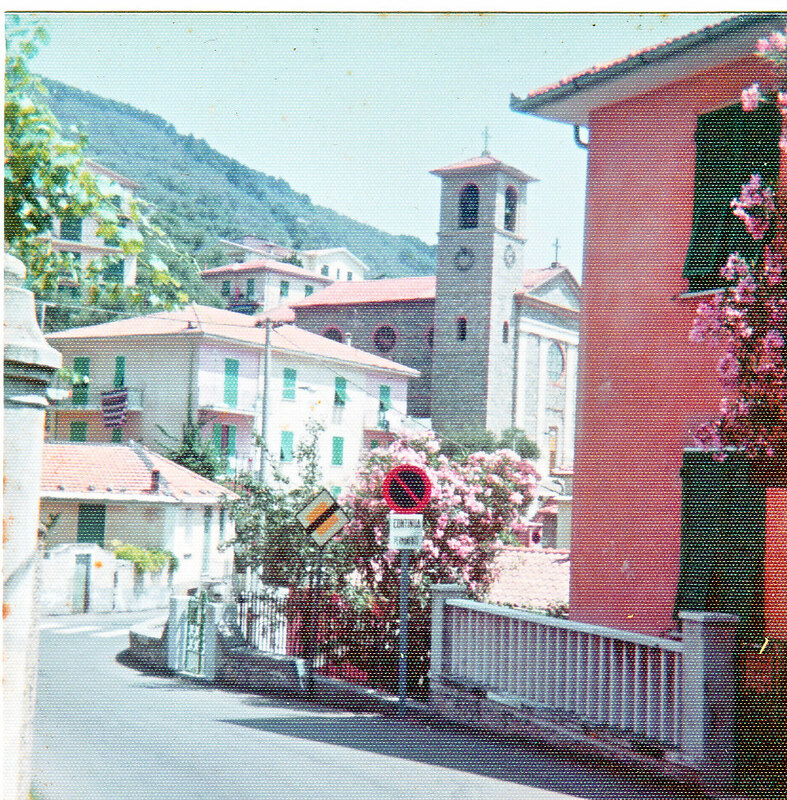 It was on this sometimes steep road to Lerici that I first noticed a sign which I’ve since wanted to erect on my present street. Avoid unnecessary noise is what it means in English. What it means to Italians is: blow your horn as often as possible so that people can determine how necessary it is! And, just in case people are still uncertain, stick your head out of the window and add vocal accentuation. Any perceived disagreement is met with further (loud) vocal opinion and classical gesticulation. On one side of this square was the local office of the Italian Communist Party. 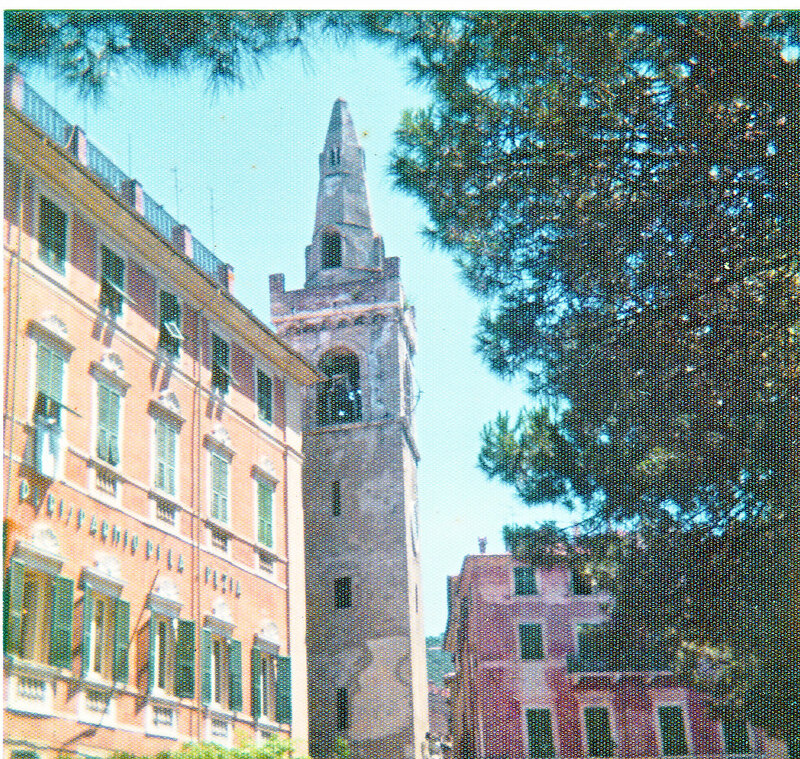 I think the office must have been pretty hot and stuffy as whenever I was in Lerici the local Mayor and several other men spent their time at a table in the shade of the building, occasionally venturing indoors, then returning to pick up the always animated discussion. It may have been only local politics, but it engaged them (and sometimes passers-by!) with a vitality and purpose lacking in our pomposity. Ah…in a time before gravity won the battle ! Like this cafe/bar with tables on the terrazzo. See that hat? 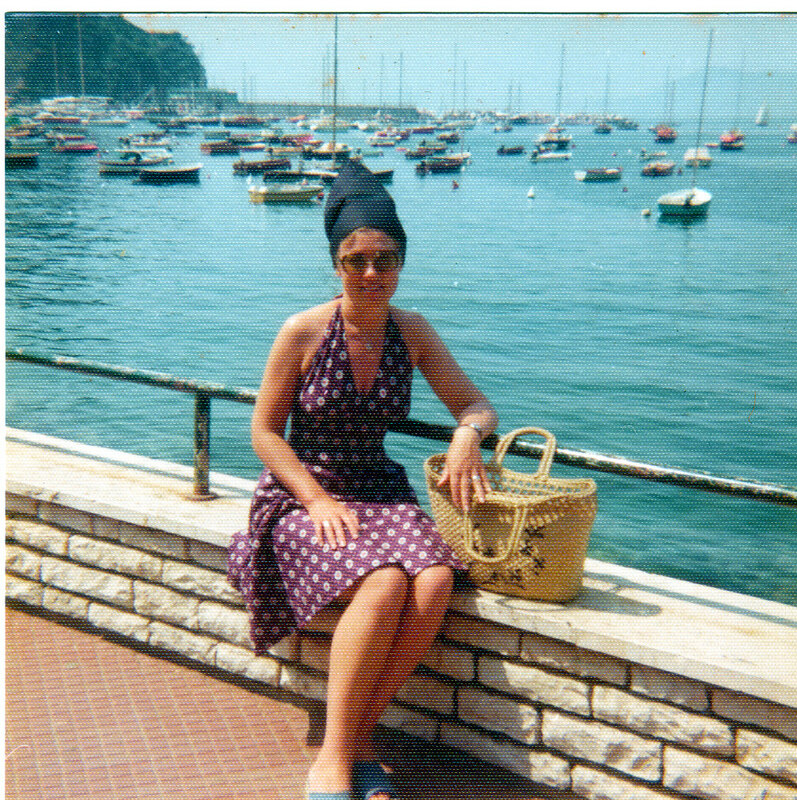 I bought that from a fantastic market stall on the front at Lerici and I wore it for years. It finally “died” a couple of years ago. I cried. This is one area where the English Romantic Poets hung out. And it was in the Ligurian Sea that Shelley was swept overboard in a storm and drowned. It’s become a watery grave for many a hapless sailor. A deceptively “gentle” sea, it can be whipped to a foaming fury in minutes and the unwary are given no quarter. Just goes to show that you should not believe everything on the web! You don’t want me to tell you why, do you? Go check your own atlas! The bedroom opened to the balcony, looking across the bay. You would expect local seafood to be plentiful and delicious. It was! This leathery-faced woman walked along the street, fish basket balanced on her head, calling her wares. As you can see, they were pretty popular! Those damned faerie have a lot to answer for!